Gong Xi Fa Cai everyone! No Eyed Deer will be closed from the 4th(Monday) to 8th February (Fridayy) to celebrate Chinese New Year with our family and friends. Business will resume back on 9th February, 2019 (Saturay). Here's wishing all of you 'Gong Xi Fa Cai'!. No Eyed Deer will be open this Christmas day Tuesday, 25th December but will be closed on Wednesday, 26th December instead. We will be serving our special Christmas Festive menu from 22nd - 31st December, 2018. This menu will feature a variety of delicious and sumptuous meals to choose from. Gong Xi Fa Cai everyone! No Eyed Deer will be closed from the 15th February (Thursday) to 20th February (Tuesday) to celebrate Chinese New Year with our family and love ones. Business will resume back on 21st February, 2018 (Wednesday). Meanwhile, have a wonderful time with your family and friends and may the year of the dog brings you great joy, health and prosperity too. Come celebrate Valentine's Day with your dear at No Eyed Deer. We will be serving a Special Valentine's menu with a variety of sumptuous meals to choose from. We will be serving our special Christmas festive menu from Saturday 23rd December 2017 till Monday 1st January 2018. The menu will feature a variety of delicious and sumptuous meals including our popular roast beef with yorkshire pudding. No Eyed Deer will be serving a special Mothers' Day menu on the 13th (Saturday) and 14th (Sunday) May 2017. This special menu will feature a variety of delicious and sumptuous meals to choose from. No Eyed Deer will be open for Valentine's Day on the Tuesday of 14th February, 2017. We will be serving a Special Valentine's menu with a variety of sumptuous meals to choose from. Gong Xi Fa Cai everyone! We will be closed to celebrate Chinese New Year with our family and friends from 24th Jan to 31st Jan 2017. Will be back to serve all of you on the 1st February, 2017. May you all have a wonderful time too and be blessed with a successful and healthy year of the rooster. We will be serving our special Christmas/New Year menu from Friday 23rd December 2016 till Sunday 1st January 2017. The menu will feature a variety of delicious and sumptuous meals including our popular roast beef with yorkshire pudding. 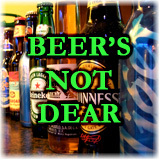 Come celebrate Fathers' day at No Eyed Deer. We will be serving a special menu with a variety of special dishes on Fathers' Day 19th June (Sunday), 2016. No Eyed Deer will be serving a special Mothers' Day menu on 8th May(Sunday) 2016. This special menu will feature a variety of delicious and sumptuous meals to choose from. Come celebrate Valentine's day with your dear at No Eyed Deer. Special Valentine's set menu with a variety of sumptuous meals to choose from on 14th February, 2016. Gong Xi Fa Cai everyone! No Eyed Deer will be closed from the 7th (Sunday) to 12th February (Friday) to celebrate Chinese New Year with our family and love ones. Business will resume back on 13th February, 2016 (Saturday). Meanwhile, enjoy yourselves and may you all have countless blessings in the year of the Monkey. We will be serving our special Christmas/New Year menu from Wednesday 23rd December 2015 till Friday 1st December 2016. The menu will feature a variety of delicious and sumptuous meals including our popular roast beef with yorkshire pudding. 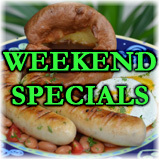 No Eyed Deer will be serving Roast Beef with Yorkshire Pudding this Fathers' Day on 21st June, 2015. No Eyed Deer will be serving a special Mothers' Day menu from 10th May(Sunday) 2015. This special menu will feature a variety of delicious and sumptuous meals to choose from. Gong Xi Fa Cai everyone! No Eyed Deer will be closed from the 17th (Tuesday) to 24th February (Tuesday) to celebrate Chinese New Year with our family and love ones. Business will resume back on 25th February, 2015 (Wednesday). Meanwhile, enjoy yourselves and may you all have countless blessings in the year of the goat. Come celebrate Valentine's day with your dear at No Eyed Deer. Special Valentine's set menu with a variety of sumptuous meals to choose from on 14th February, 2015. No Eyed Deer will be serving our special Christmas/New Year menu from this Christmas Eve Wednesday 24th December till New Year eve 31st December 2014. This special menu will feature a variety of delicious and sumptuous meals including our ever popular roast beef with yorkshire pudding. No Eyed Deer will be closed for a short break from 8th - 15th July, 2014. We will be back to serve all of you next Wednesday the 16th July, 2014. No Eyed Deer will be serving a special Mothers' Day menu from 10th May (Saturday) - 11th May (Sunday) 2014. This special menu will feature a variety of delicious and sumptuous meals to choose from. Come celebrate Valentine's day with your dear at No Eyed Deer. Special Valentine's set menu with a variety of sumptuous meals to choose from on 14th February, 2014. Gong Xi Fa Cai everyone! No Eyed Deer will be closed from the 28th January (Tuesday) to 4th February (Tuesday) to celebrate Chinese New Year with our family and love ones. Business will resume back on 5th February, 2014 (Wednesday). Meanwhile, have a fun and wonderful time with your family and friends and may your endeavours be smooth and successful in the year of the horse. No Eyed Deer will be open this Christmas Eve Tuesday 24th December and New Year eve 31st December 2013 but will be closed on Wednesday (1st January, 2014) instead. We will be serving our special Christmas / New Year menu from 20th Dec (Friday) - 31st Dec (Tuesday) 2013. This special menu will feature a variety of delicious and sumptuous meals to choose from. No Eyed Deer will be serving a special Mothers' Day menu from 10th May (Friday) - 12th May (Sunday) 2012. This special menu will feature a variety of delicious and sumptuous meals to choose from. 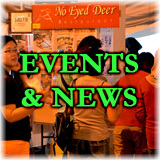 No Eyed Deer will re-open back on Valentine's day, 14th February, 2013 (Thursday) after our Chinese New Year break and we will be serving a variety of sumptuous set meals. Gong Xi Fa Cai everyone! No Eyed Deer will be closed from the 9th February (Saturday) to 13th February (Wednesday) to celebrate Chinese New Year with our family and love ones. Business will resume back on Valentine's day 14th February, 2013 (Thursday). Meanwhile, have a fun and wonderful time with your family and friends and may your endeavours be smooth and successful in the year of the Snake. No Eyed Deer will be open this Christmas Day Tuesday 25th December but will be closed on Wednesday (26th December) instead. 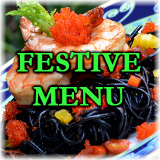 We will be serving our special Christmas / New Year menu from 21st Dec (Friday) - 31st Dec (Monday) 2012. This special menu will feature a variety of delicious and sumptuous meals to choose from. No Eyed Deer will be serving a special Mothers' Day menu from 12th May (Saturday) - 13th May (Sunday) 2012. This special menu will feature a variety of delicious and sumptuous meals to choose from. Come celebrate Valentine's day with your dear at No Eyed Deer. We will be opened for Valentine's Day this coming Tuesday 14th February, 2012 and will be serving a variety of sumptuous meals. Gong Xi Fa Cai everyone! No Eyed Deer will be closed for Chinese New Year from the 22nd January (Sunday) to 26th January (Thursday). Business will resume back as usual on the 27th January, 2012 (Friday). Meanwhile, have a fun and wonderful time with your family and friends and may the year of the dragon bring you great health and prosperity. Bring the family and come celebrate Mother's day at No Eyed Deer. 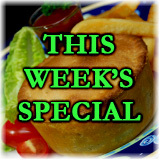 We will be serving our popular British Fish Pie as this weekend special on 7th and 8th May, 2011. Come celebrate Valentine's day with your dear at No Eyed Deer. Special Valentine's set menu with a variety of sumptuous meals to choose from on 14th February, 2011. No Eyed Deer will be serving special set menu from the 24th DECEMBER, 2010 - 2nd JANUARY, 2011. A great variety of new dishes to celebrate and feast on.